Does Your Harley Compensator Clunk? We were excited to get our hands on this Harley compensator upgrade from Baker. Riders have been dealing with Harley’s poor compensator design for some years now. Even their Screamin Eagle upgrade turned out to be an inadequate solution for most. Some riders actually spent a lot of money to buy a new Harley-Davidson. They had to deal with clunking, loosening Harley compensator, and starting issues. They may have spent more good money for the Screamin Eagle upgrade (as well as labor costs) only to still have the same issues eventually redevelop. The noise can be heard in the primary drive when you shut the engine off. The noise occurs when the factory Harley compensator returns to its lowest position. The design flaw is lack of lubrication within the assembly and the clunking or banging that can be heard verifies that excessive wear is occurring at the assembly. 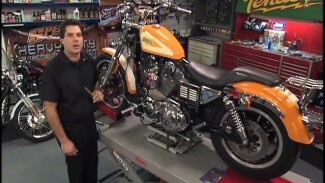 Baker has now given us an assembly that permanently solves this problem for Harley Davidson motorcycles 2007 and newer. Baker has borrowed from the tried and true pre-2007 cam lobe geometry but has added modifications to the motor shaft extension and developed a Harley compensator sprocket and spring cup that have oil passages in them, allowing for plenty of oil to lubricate the compensator’s cam lobes. The Baker design not only eliminates clunking but also improves function and adds extended durability over the stock, flawed, factory design. The assembly is sold as a complete kit. It includes an engine extension shaft, a 34 tooth compensating sprocket, cam slider, spring cup assembly, and a hardened 9/16-12 hardened hex bolt. The only other parts needed are: outer primary gasket, derby cover gasket and (40-45 oz) primary drive oil. Both, Baker and Fix My Hog recommend using Spectro primary drive oil. The instructions are very straightforward. Provided the correct tools are available, we consider this upgrade to be easily achievable for the “weekend mechanic”. Check out he Removal of Stock & Install of the Upgrade Kit. Installed SE comp about 4 years/40k miles ago. Took a dump this past summer. Installed new SE comp in fall, now have slight clunking when idle goes below 1K (worse cold). 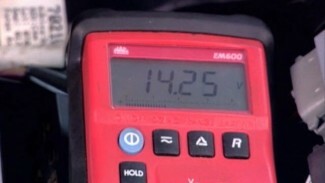 Bike seems to perform ok otherwise, noise goes away when rpm is raised even a little, still have some hot start issues but not nearly as bad as was with first SE comp (after it wore out). I just bought a 1989 FLHTC , EVO 80 CI , do I need this up-grade ?? No. You do not need any type of compensator upgrade. Had Baker comp fitted to my 2010 FLH Road King, along with Baker 7 speed transmission. Best add on ever. No more clunkuing and hardeto find gears including neutral. All gear changes smooth and clean and quiet. No false neutrals. and no clutch slipping in fifth gear. Thyis is actually a gear box fault but HD and dealers will not admit to it.